GitHub is a development platform that allows you to host and review code, manage projects and build software alongside millions of other developers from open source to business. 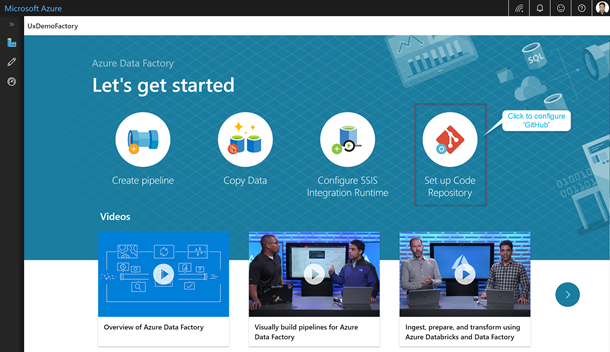 Azure Data Factory (ADF) is a managed data integration service in Azure that allows you to iteratively build, orchestrate, and monitor your Extract Transform Load (ETL) workflows. 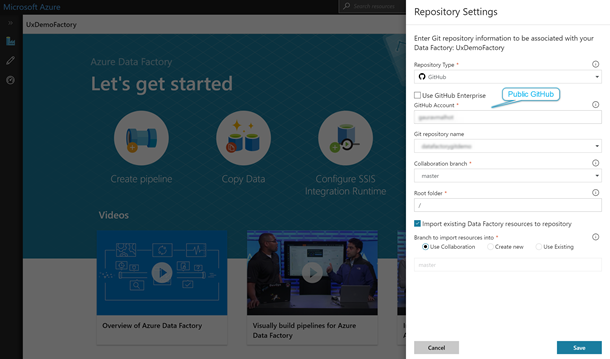 You can now integrate your Azure Data Factory with GitHub. 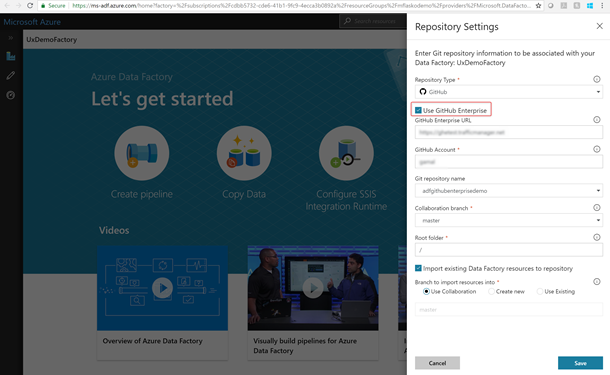 The ADF visual authoring integration with GitHub allows you to collaborate with other developers, do source control, versioning of your data factory assets (pipelines, datasets, linked services, triggers, and more). Simply click ‘Set up Code Repository’ and select ‘GitHub’ from the Repository Type dropdown to get started. Previous articleselenium webdriver – AngularJS testing with Protractor- How to make test scripts portable?